In the spring of 2009 we decided that our community needed an event to highlight the amazing musical talent in our city, and more importantly, to encourage our community leaders and elected officials to feel like they were a part of the success of our organizations. Rather than waiting for them to be involved (and being upset that they were not!) we decided to be proactive in creating a meaningful engagement opportunity. When given the opportunity to be in a large scale public celebration event that highlights the arts in the community, including local public schools, we realized that elected officials would jump at the opportunity to be involved. The first step was to create a partnership with a variety of other community based music organizations. For us, this included the Arizona Wind Symphony (adult community band), The Academy Drum and Bugle Corps (local DCI), our school, and the neighboring high school. We planned an outdoor, family friendly concert in a popular outdoor amphitheater venue in the heart of downtown Tempe. 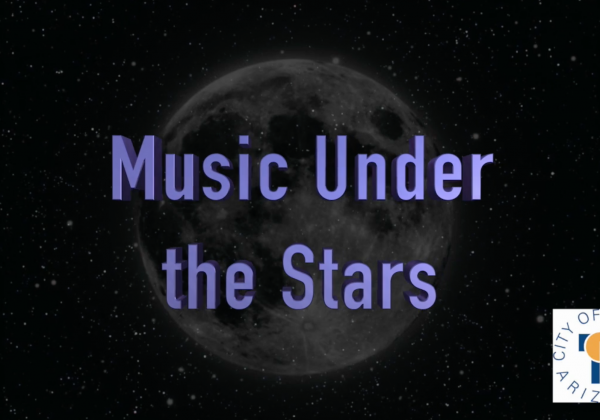 The concert is called Music Under the Stars. The second step was to seek support from the Friends of Tempe Center for the Arts to provide funding for venue, lighting, sound system, parking, and event management. We believed Tempe Center for the Arts would be the ideal location for this performance and that they would see the value in supporting an event for their citizens. Finally, when the concert was scheduled, we started the dialogue with local City elected officials. During the concert, we would recognize them for their selfless service to the City and their support of the arts and provide time for them to speak and address the crowd. Our target audience is, first and foremost, the elected officials in the City of Tempe. We give them the opportunity to feel ownership for the success of the event and an opportunity to engage and speak to their constituents in a non-political environment. The event has high artistic value, involves a large number of Tempe residents as performers, and is free and fun for the community. Various elected officials from the mayor to city council members have leapt at the chance to stand on the stage with our musicians! Additionally, we are building an audience of non-family future concert-goers, connecting our students with other musicians in their community, and solidifying our relationship with other City officials who hold the grant-making keys that impact the financial well being of our programs. In the attached video, please start at 42:16, where the City of Tempe Vice Mayor addresses the crowd. Over the past nine years, this event has grown in many ways. 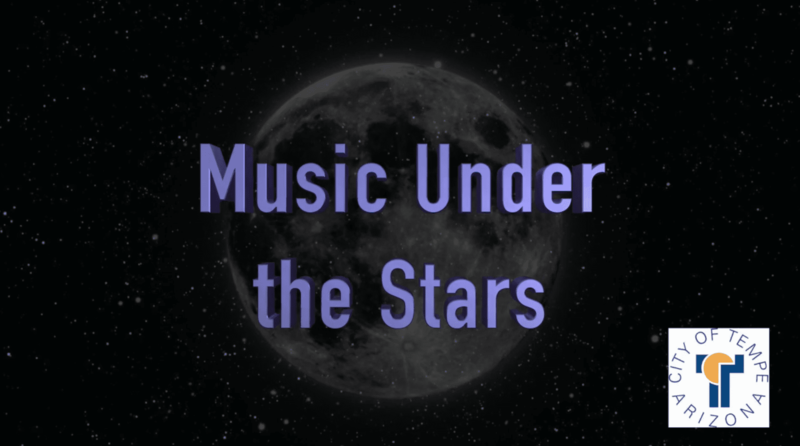 Most importantly for us, the City has “adopted” Music Under the Stars and it has evolved from an event that the City allowed, to one that they organize. This has relieved a lot of the burden from our shoulders and ensured consistent buy-in from them. Through our connections with our elected officials, this event became our main public event of the year. A concert where we perform for audience members that would never normally hear us. The community of students I teach realized this at some point, and they bought in. Additionally, this event provided an opportunity for my students to perform side-by-side with our sister school (and sometimes competitor) and brought us closer together. There are those moments when you realize that music, in this collaborative environment, has a power to bring communities together, and display music in the most positive way possible. There was a year recently where we had to seriously consider cancelling the event. In those discussions, our eyes were opened to how many groups (and not just the parents of the students) look forward to this one event each year. Another instance when we discovered the impact this event has on our community was when, last year, public schools across Arizona closed for what ended up being 6 days and the event was scheduled for a night of one of these days off. After discussions with all parties involved, we decided to proceed. While the teacher walk-out was a demonstration of its own, this event, especially at that particular time, was the perfect opportunity to remind our community and our elected officials of what they might not have without funding and support. We decided to keep the event positive and hopeful and let the music speak for itself. Last year, given all of that, was probably one of our most successful performances in the history of the event. The approved budget for this event runs directly through the City of Tempe and their office of Arts Development. We have never seen the budget, and I do not have access to the specific line items and expenditures. We made some changes from the original event. For one, we decided to make the event slightly shorter. I think it is important to realize that most concert-goers don’t leave wishing it was longer. We reduced the wind bands to two selections each, and made sure we were accomplishing contrasting styles between all of our selections. Another change we made was to do more collaborative/combined ensembles. For instance, we have the high school steel drum bands perform tunes together, and we now end the concert with a mass combined piece. We also now invite different types of media – from the local news, to the university newspaper, to the City of Tempe’s media person. We also tried a SnapChat geofilter for the event, and found it to be surprisingly successful! Anything that brings attention, in a positive light, to the City and to our musicians is a win. Lastly, we had originally tried to have a concession stand of our own, but we have since changed to bringing in food truck vendors approved by the City, and they were very popular. One exciting development was when Maja Aurora, the Director of Arts Engagement for the City of Tempe became more involved. Originally the idea of this outdoor concert was simply just that…a concert in a beautiful outdoor setting. When we met with City officials, we were pleased that they saw this event as an opportunity to display of arts in the community. In time, we transitioned the event from “our event” that the City allowed, to a City directed event under their budget, that we participated in. Ms Aurora is now the point person and shot caller. She is also the grant writer for Tempe, and a wonderful force for arts education and arts funding in the City of Tempe. I believe the reason that we were embraced by our local elected officials is that the concert displayed music performance across a wide range of ages, and types of ensembles (from Drum Corps to Community Band to High School). Additionally, the audience grew each year, upwards of 2,000 people, and this made for an audience that clearly showed appreciation for local art. It turned out that an outdoor family friendly event, where you could eat your picnic dinner and bring friends and family that don’t normally attend instrumental music concerts, was more appreciated by our community than we first anticipated. Each of the directors involved have been told that this is the only event all year that certain individuals attend to hear a family member or friend perform.